Aluminum Dock Plate (A-B) | Dock Door Systems Inc. Lip bend is 11f. Standard lip length for conventional trailers is 11", option of 14" for refrigerated applications. 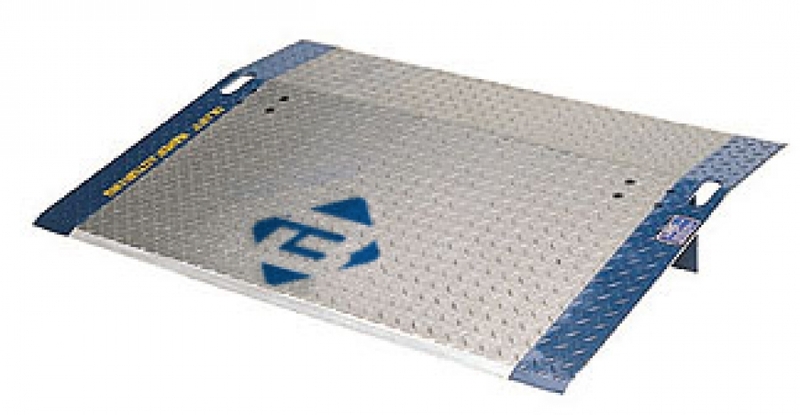 Aluminum dock plates are designed to work well with pallet trucks or other non-powered dock loading equipment. Machine beveled deck edges allow for smooth transition. Wide range of dock plate sizes available. Aluminum Dock Plates offer a low-cost solution to bridging the gap between trucks, trailers and your loading dock.